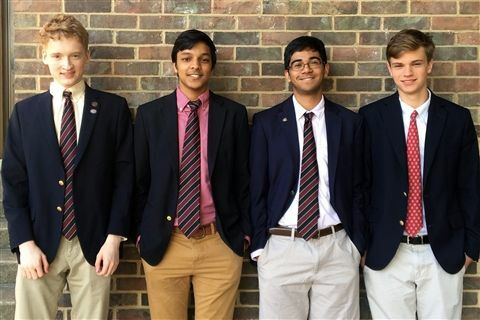 Congratulations to Parker Ernst ’20, Ajeet Kalepu ’19, Neel Agarwal ’20 and Bryan Rego ’19 for being named 2018 Melvin Scholars! Each year The Ohio Academy of Science selects 20 of the top pre-college students who present at its annual meeting to be Melvin Scholars. These students will represent Ohio at the American Junior Academy of Science annual meeting in Washington, D.C. this spring. The AJAS provides these students an opportunity to interact with the best students from across the country and scientific professionals from around the world. They also have the opportunity to participate in interactive laboratory experiences, field trips, plenary lectures, and small group meetings with world renowned scientists and engineers.